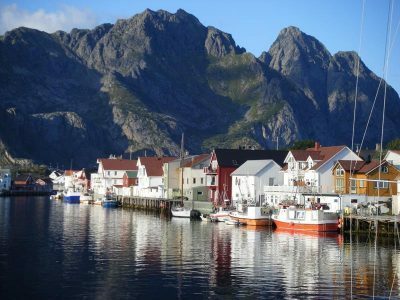 Henningsvær is a fishing village located on several small islands off the southern coast of Austvågøya in the Lofoten archipelago in Norway. It is a part of the municipality of Vågan in Nordland county. The village is located about 20 kilometres (12 mi) southwest of the town of Svolvær. Henningsvær is connected to the rest of Vågan via the Henningsvær Bridges. 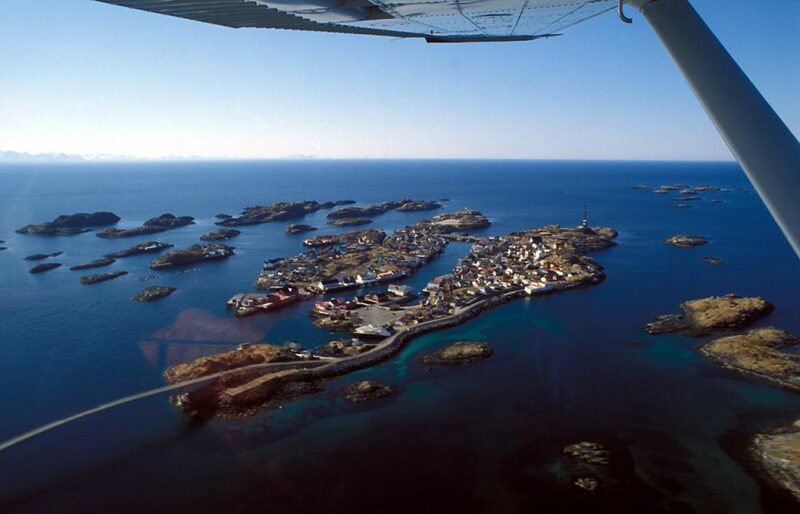 The village is mostly located on the islands of Heimøya and Hellandsøya.